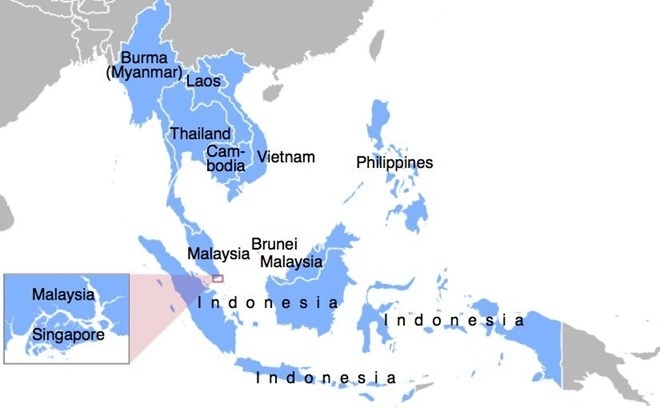 Member countries of ASEAN need to give priority to promoting ASEAN Economic Community 2025 (AEC 2025) and concluding Regional Comprehensive Economic Partnership (RCEP) negotiations to deal with economic headwinds in 2019, according to a recent article on the website https://www.eurasiareview.com. The article said 2019 will likely see Southeast Asian economies face major economic headwinds namely the US-China trade tensions and the interest rate increases by the US Federal Reserve (Fed). Consequently, the world in 2019 may witness more rounds of tariff escalations or trade-restricting measures being rolled out by Washington and Beijing. Regional economies will have to brace themselves again for future impacts. On the financial front, on December 19, 2018, Fed raised the interest rate from 2.25 to 2.50 points and forecast two increases in 2019, it said, adding that this could trigger capital pullouts from Southeast Asian countries as investors move funds to seek higher yields in the US. If not well-managed, such capital outflows may instigate financial instability and crisis in regional economies, it stressed. While it is unlikely to avoid the effects of such headwinds on regional economies, ASEAN member states in 2019 can nevertheless counter such impacts via regional initiatives, namely AEC 2025, ASEAN-Hong Kong Free Trade and Investment Agreements (AHKFTAs), RCEP, and Chiang Mai Initiative Multilateralization (CMIM). ASEAN policymakers should prioritise the complete implementation of AEC 2025 - the regional economic integration project promoted by ten ASEAN member states to achieve five objectives. Advancing AEC 2025 will enable businesses to better tap on the integrated market of 630 million people, rendering regional economies more resilient amidst the incoming headwinds, the article said. It said ASEAN member nations’ governments should ratify AHKFTIAs signed in November 2017 so that these treaties can enter into force in early 2019 as expected. The agreements will help enhance cross-border flows of goods, services, and investment between ASEAN and Hong Kong economies. They not only allow firms to enjoy greater access to goods and services markets and better investment protection, but also enable ASEAN nations to further tighten trade and investment ties with China and recuperate from the damage that future Washington-Beijing trade spats will inflict on them. Moreover, ASEAN authorities should concentrate on wrapping up the talks of RCEP - a free trade agreement among 16 economies. If concluded, this bloc will encompass the market of 3.6 billion people and contribute a third of the global GDP. It will cover 29 percent of the global trade and 26 percent of the world’s foreign direct investment flows. Concluding the negotiation will also enable RCEP economies to diversify and cushion the negative consequences of the future US-China trade tensions. ASEAN member nations should work closer with China, Japan, and the Republic of Korea to advance the CMIM, a regional financial safety net under the ASEAN 3 financial cooperation process. Launched in 2010, the scheme provides financial support via a network of currency swaps to help ASEAN 3 nations weather their balance-of-payments difficulties because Fed’s future rate hikes could cause financial instability and capital flights in certain regional economies. Admittedly, the above initiatives face their own challenges. Thus, individual ASEAN countries must sort out how to better coordinate work among the involved authorities.